Our God is warm and welcoming and kind. We know this because we see how Jesus treated others while He was here on earth. His first public act was to rescue a wedding celebration by changing water into wine. He told Roman tax collector Zacchaeus to come down from the tree where he was waiting to see Jesus because Jesus was coming to his house that day. Jesus had his disciples feed bread and fish to the crowds who were following Him because Jesus had compassion on the people who were hungry and did not have food to eat. Jesus was compassionate and welcoming to the Samaritan woman, the woman who had been bleeding for twelve years, Peter’s mother-in-law, and the little girl who died and whom He revived. 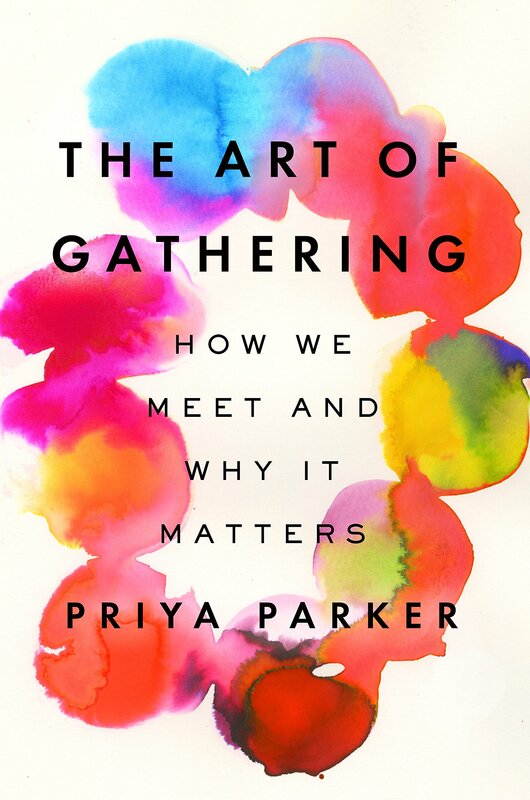 A book was recommended on a reading list for 2019, The Art of Gathering – How We Meet and Why It Matters by Priya Parker. I’ve read it and was fascinated. Priya does an excellent job of relating in story-after-story how to plan gatherings, identifying the purpose of a gathering, how to begin a gathering in an inviting way, how to help attendees to feel included in a gathering, how to close a gathering well. This is not a book written for people who gather in a Christian context necessarily, though I found myself thinking through all kinds of public and private situations where her principles can be applied. I found it to be very helpful. About smiling and being friendly. Why? Our God is warm and welcoming and kind. We are made in His image, and we are being redeemed into His image. We show God to the people who come to visit us.